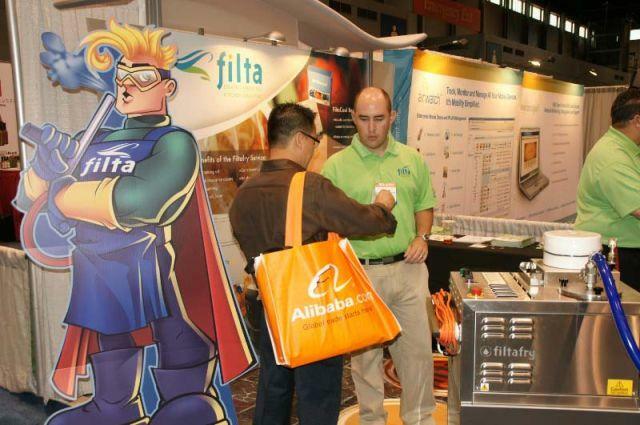 Filta’s Booth (5360) was busy during the NRA tradeshow and convention in the Windy City. It was nice to meet so many existing Filta customers – some as far away as Panama – hello Omar! It was a really good showing for Filta, and we decided it was the perfect place to unveil a 7’ cutout of the bad oil fighting superhero FiltaMan. FiltaMan was designed as part of the creative direct mail campaign for the second half of this year. Keep your eyes open for more sightings of FiltaMan and several other new characters coming soon.